Can Twinity Foster Creativity and Economy in Virtual Cities? MMO creators are seeking out ways to integrate their play with gamers' real lives. The serious games field is rife with misconceptions because it encompasses so much. To help spread the truth about serious games, let's debunk 10 of the biggest myths about the genre. 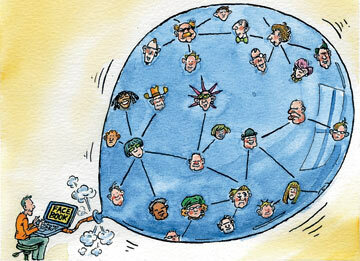 BluePulse has a new take on social networking: mobile only! Online role-playing games, which take players on explorations of medieval fantasy worlds, are showing the potential to be a powerful tool for ESL learning. Real-life experts meet in a virtual world to prepare for disaster. The Northern Ireland Business and Innovation Centre (NORIBIC) in conjunction with Serious Games developers throughout Ireland , have come together to organize a conference to announce the Awakening of the Serious Games Industry within Ireland; The Serious Games Awakening Conference (SGA). To mark the event, Serious Games Industry veterans will provide a series of talks sharing their expertise in all areas of the Serious Games industry from both business and technical perspectives. Videogames: Can They Be Important? Launchpad - the Science Museum's most popular gallery - has been relocated and reinvented. From firm favourites to world firsts, new Launchpad will be packed with over 50 exhibits, plus electrifying shows and lively demos, all from the wonderful world of physics. Capture your shadow, launch a rocket, spin like a skater and control a magnetic cloud. The new Launchpad opens its doors on Saturday 24 November. BUSY executives rushing around from one meeting to the next are being offered a virtual alternative, thanks to 3D technology. The new development in computer graphics allows someone to visit a meeting with colleagues or clients by simply logging on to their laptop or office computer. 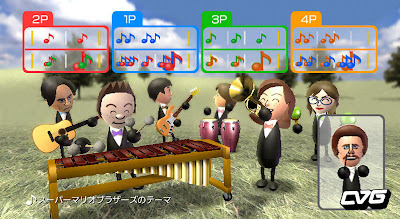 Speaking into a microphone, the "attendee" is recreated in virtual form as an "avatar" and their movements can be manipulated through the keyboard. A whole generation is growing up for whom video games are a key part of how they relax, whether it be fragging friends in a first person shooter or backing up the main tank in a Warcraft raid. And it is not just youngsters. There are plenty of older folks who shake off the dust of the working day in many different virtual worlds. 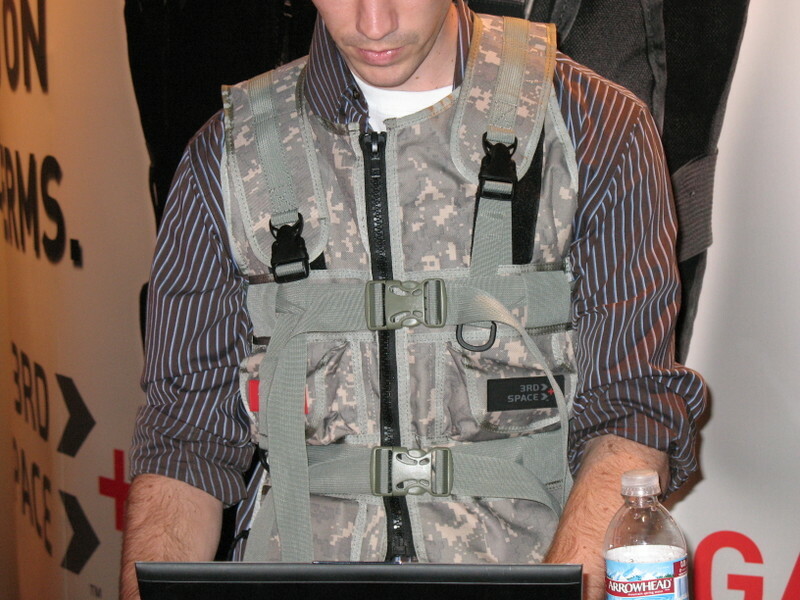 The E for All Expo also featured the 3rd Space FPS Vest, a device that delivers pressure to the body when a video game character gets shot. Like the Falcon, the FPS Vest has medical origins—it was originally designed by Mark Ombrellaro, a practicing vascular surgeon from Bellevue, WA, as a way for doctors to perform examinations over the Internet. There's been a lot of talk over the last few years about the semantic web. While Google and other search engines do a pretty good job of ranking web pages and providing relevant results to keyword searches, the truth is that Google doesn't really understand what you're asking it. Not in plain language anyway. We've learned to tailor our search habits to search engines as much as they've learned to adjust to our preferences. At a recent cocktail party, David Wortley set up a video camera to record images of the guests in the room. The video was streamed, live, into a computer-generated version of the party in Second Life, the online virtual world, where participants' "avatars" could watch them sipping their drinks. Then a video of the virtual version of the party was beamed back onto a screen in the real-world room. "People were watching people watching people watching them," Wortley said, acknowledging, "It can be a little difficult to get your head around in the beginning." But such scenarios may seem less surreal when you are director of the Serious Games Institute, a center for the development of "serious" applications of video game technologies and virtual worlds for businesses, security agencies and other users. The party took place during a conference that coincided with the recent opening of the center. Conduit Labs Interview: Social Network and MMO Mashup ? A computer screen that also acts as a two-handed touch interface and a crude infrared camera has been developed by researchers at Microsoft's labs in the UK. Users can operate the display with both hands, in a similar manner to the display in the film Minority Report. But this screen can also recognise particular hand gestures as well as objects placed within a centimetre of its surface. "It can sense much more than fingers, and is essentially a low resolution scanner and camera," says lead researcher Shahram Izadi. The screen can even communicate wirelessly with other devices nearby using the same infrared technology it uses to see. Microsoft and Dassault Systemes have released a 3D building application for the Virtual Earth mapping program, the companies said Friday. Since then Facebook and the idea of the social graph have become the favourite, if not the only, topic of conversation among the valley's geeks, venture capitalists and internet moguls. Mr Zuckerberg compares his graphing of human connections to the work of Renaissance mapmakers. Facebook is growing furiously and may catch up with MySpace, the biggest social network. Outside programmers have added about 5,000 widgets. University and college professors in the teen grid are preparing for what may be the world's first virtual college fair this weekend. The first annual teen grid college fair is being held on Eye4You Alliance island, Saturday and Sunday, from 10 a.m. to 5 p.m. SLT, or Pacific Standard Time. The project came about from a student that wanted more information on colleges, financial aid, and how to fill out applications. Several other teens had similar questions, and the fair was born. British intelligence agencies are to offer video gamers hooked on espionage-inspired adventures the chance to live out their fantasies. Government Communications Headquarters (GCHQ), the surveillance arm of the intelligence services, will this month become the first spy agency to embed adverts for new recruits inside computer games. The advertisements will appear as billboards in the fictional landscapes of games including Tom Clancy’s Splinter Cell: Double Agent. They will not be written into the games themselves but will be fed into games when they are played on personal computers and Microsoft Xbox 360 consoles that are connected to the internet. Companies hiring thousands of employees a year face a serious problem: most of those employees aren't very productive for the first few months after being hired. They spend large amounts of time trying to find their way around the company, working out where the appropriate resources and departments are, and how to use the unique tool set. Accelerate thinks they've found an efficient solution to bringing new employees up to speed quickly using virtual worlds. John Boring, CEO of Accelerate, sees the virtual world as a more engaging learning tool than a training video. 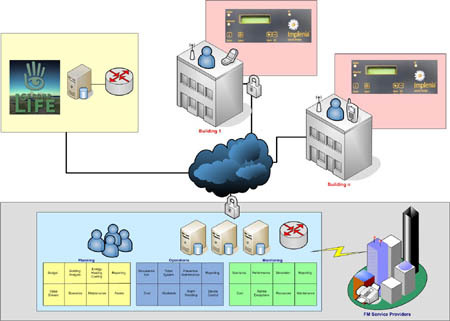 Using a custom-built world resembling, for instance, the company's main campus, employees can explore the company and draw a mental picture of how everything fits together. "It's more compelling and interesting because they're immersed in it," he told me in interview. The words "serious" and "games" do not exactly go hand in hand: the former is to do with disasters and global warming, the latter being associated with things like fun, excitement and pleasure. Despite this, the term "serious games" has become a catch-all term for software which uses videogame design principles to deliver educational and training experiences. Typically bespoke, they are designed to run on standard PCs or games consoles, immersing players within a virtual environment where they must perform a series of objectives in a similar fashion to a mainstream videogame. The history of electronic games, as relatively short as it may be, can already be divided into several distinct personalities. To the game developer, this body of history represents a list of successes and failures compounded by the belief that if only he or she would have had as much polygonal power in 1987 as exists today, the failures would be fewer. To the game-consuming public, the history is a dull lesson that drops off just short of the second-to-last game system actually owned. The future, to game players, is possibly more important than the past. To the collector, the electronic games history is a bible to be revered and a reference to be digested and divulged at classic game conventions. To the academic, this history is a disorganized, infantile beast--full of discrepancies and confusion--that's waiting to be collected, sorted, observed, tamed, and pushed into the realm of true innovation. Each group, though driven by different motives, has something to offer the others. The game developer can teach the consumer what to expect in the coming months. 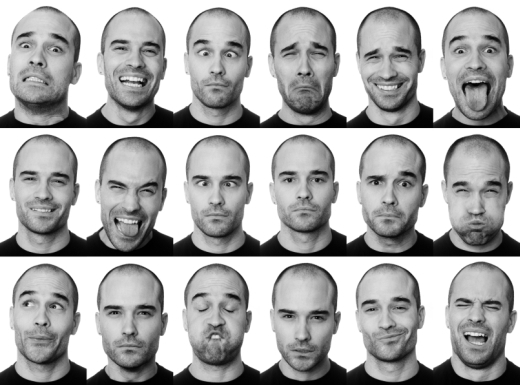 The consumer can teach the academic about buying patterns and attention spans. The classics enthusiast can teach developers what makes a good game, regardless of era or trends. And academia can teach everyone a thing or two about what motivates a person to play games, why they are important, how we can make them better, and what we learn from them overall. Academia is also interested in collections, which benefits the developer, consumer, and classics enthusiasts fairly equally. Classic game fans archive too, but they usually do so for personal reasons and not for permanent public availability and accessibility. Furthermore, the academic archives less selectively, collecting all ideas, verbal history, written history, and digital history, which comprises a complete history quite unlike the conceptual history of electronic games currently available. But there's a stigma attached to academia, particularly among game designers and game players. In a word, academia is "boring." GameSpot set out to challenge this notion by seeking some of the more compelling minds that are addressing game theory, which includes those who teach game studies and new media through universities, through thought-provoking games and Web sites, through art, and through community. The goal was to develop a State of the Union: Redefining Games: How Academia Is Reshaping Games of the Future. Because like it or not, electronic games are not babies anymore. They have been around long enough to stand on their own. So it's time for us to see what they're really made of so that we know what they'll become. Supersize Me.Design creativity in virtual worlds.